Blooming in mid-season, Paul M. Wild peony has ruby-red fully double blooms, making it a choice cut flower for Alaska growers. Timing is everything when cutting peony stems so that buds don’t open too soon. These Sarah Bernhardt peonies are still in their bud stage. Careful staking at the Alaska Perfect Peony farm ensures adequate support for the fully double, bomb type blooms of rows and rows of Dr. Alexander Fleming peony. 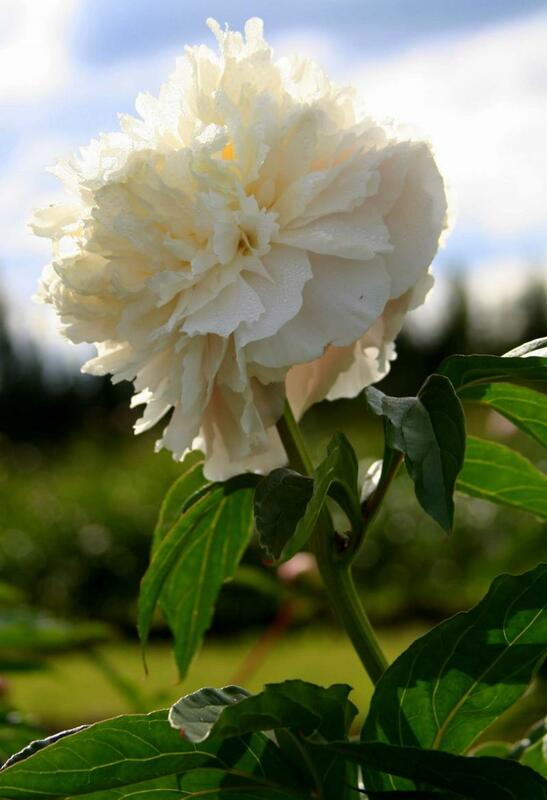 With a lineage that dates back 150 years, award-winning Duchesse de Nemours peony produces even larger, more vibrant blooms in the long, sun-filled days at North Pole Peonies Farm in Fairbanks, Alaska. The peony has been in cultivation for more than 2,000 years. Native to temperate regions of the world, including the Mediterranean region, eastern Asia, Europe and western North America, the genus Paeonia consists of about 32 species and more than 3,000 cultivars. Flower types include single, Japanese, anemone, semi-double, double and bomb-doubles. Double-flowered peony varieties, with blooms up to 25 centimetres across, are among the most popular. Colours range from pure white to deepest dark red. Peonies are the mainstay of cold-climate gardens for their bursts of rich, voluptuous blooms that typically appear from late spring to early summer. The peony’s affinity for cool weather conditions is the key that has opened the door to the emergence in just the past 10 years of more than 200 peony farms across Alaska and the birth of a new industry that is perched on the cusp of a dynamic shift in the peony cut-flower market in North America. A highly desirable cut flower, availability until now has been limited mostly to May, June and early July. In Alaska’s cooler climate, however, peonies bloom later and have a longer blooming season. 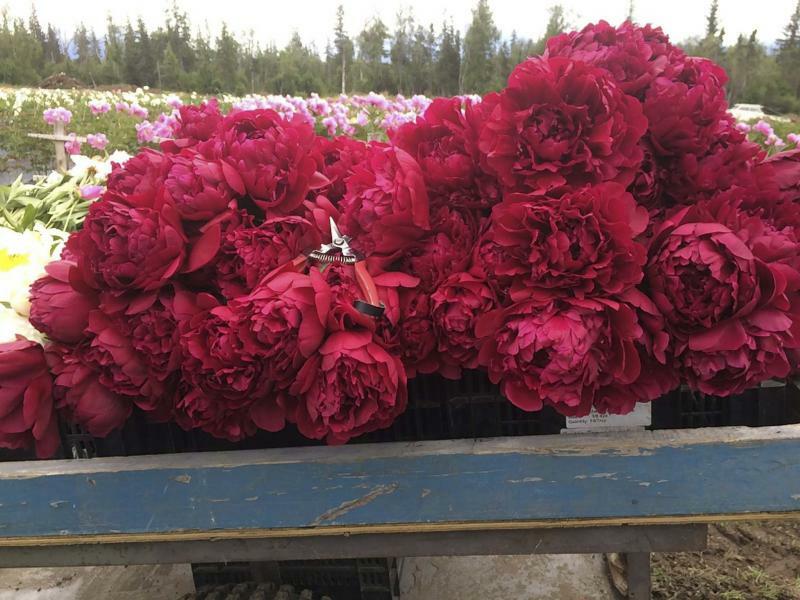 Today, Alaskan peony farmers are capitalizing on their unique ability to produce sensational peony blooms in July, August and September. 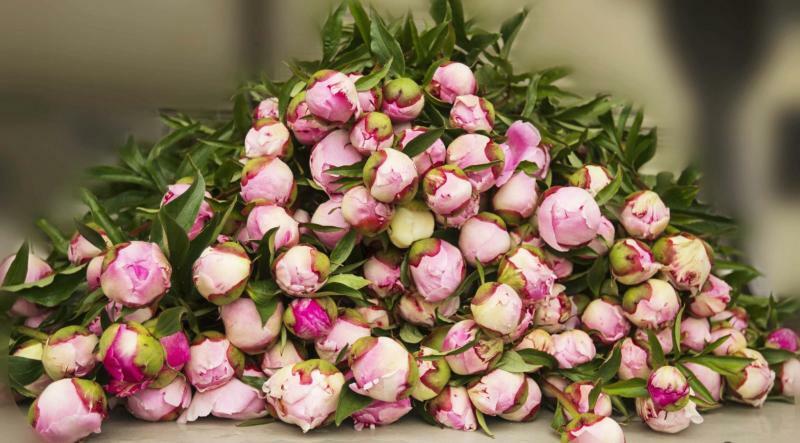 As demand increases for late-season fresh-cut peony stems as well as a growing awareness of their availability, thousands are being shipped from Alaska during its extended peony season to florists, brides and other customers across North America, including Winnipeg. Gloria Sawatzky, co-owner of Beyond Flowers (163 Lilac St.), says the availability of peony flowers in late summer and as late as mid-September by a North American producer is a game-changer. Brides love the big, flamboyant blooms, she says, and are excited they now have this option for summer and fall weddings. Of particular interest, the farm-fresh peony stems are shipped using overnight (24 hour) delivery from FedEx. In southern Manitoba, we are well acquainted with growing peonies in our home gardens. As the soil warms in spring, plants start to awaken, gradually producing their leaves and flowers. A late spring can result in cold soils that inhibit or slow down growth, but in Alaska — where the soil is always cold, even at the height of summer — the peony is taking on new significance. Ron Illingworth owns North Pole Peonies, a seven-acre peony farm in North Pole, a small city near Fairbanks, Alaska, about 250 kilometres from the Arctic Circle. 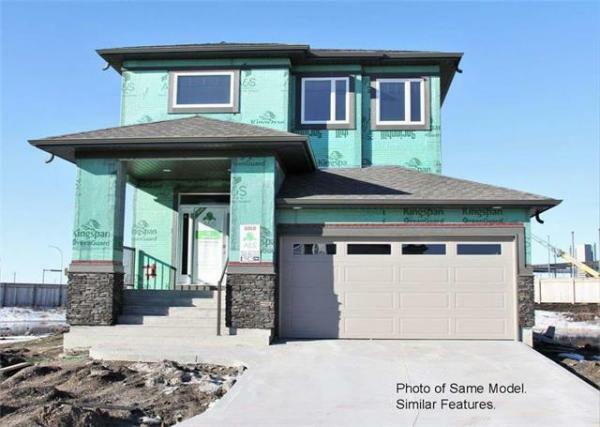 Situated on a flood plain in the interior region, North Pole has a continental climate that records the warmest summers and the coldest winters in the state. In summer, temperatures typically range between 21 and 10 C. In winter, the average low is -27 C, although January saw a cold snap with temperatures as low as -50 C.
Incredibly, in Fairbanks there are nearly 22 hours of daylight each day from late May to late July. 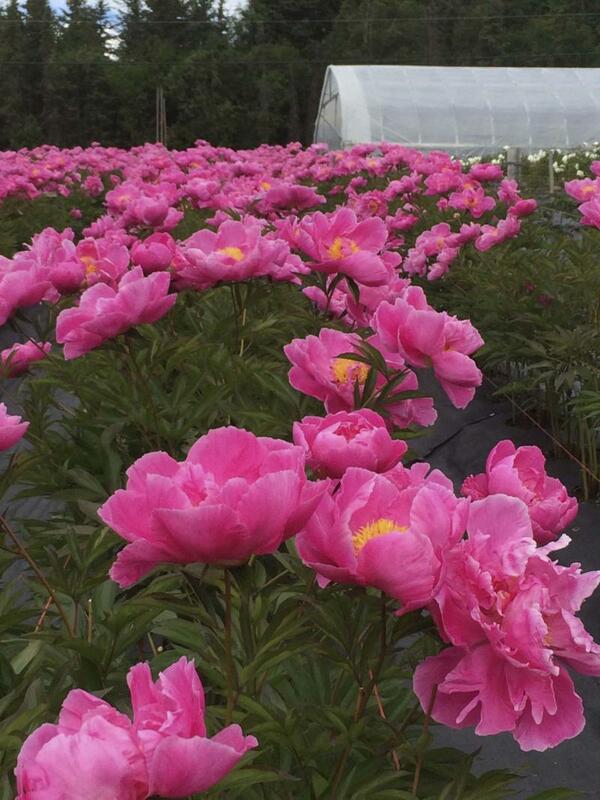 It is that combination of environmental factors — long hours of sunlight, cool temperatures and cool soils — that is fuelling excitement in the North American cut-flower market and propelling Alaska peony farmers toward previously unimagined levels of success. Earlier this week, when Illingworth and I spoke on the phone, his farm still had 20 to 25 cm of snow on the ground. He considers this ideal as it ensures a later peony harvest. Illingworth’s farm sits on an area with discontinuous permafrost beneath the soil. He grows his peonies in raised rows. Prior to planting his peony roots five cm below the soil surface, he amends the sandy loam soil (which has a neutral pH suitable for growing peonies) with compost and organic material. A retired professor of English and developmental studies at the University of Alaska Fairbanks, Illingsworth credits his colleague — Dr. Patricia Holloway — with the development of Alaska’s thriving peony cut-flower industry. Holloway, a professor emeritus of horticulture, managed Georgeson Botanical Garden, where she experimented with different varieties of peonies and bloom periods. Visitors to the garden were astounded to find peonies blooming in July, August and as late as September. Around 2004, recounts Illingsworth, one couple visiting from New Zealand remarked that folks in Alaska might be sitting on a gold mine. Where to start? "Our school of management had a graduate student who worked part time at Georgeson Botanical Garden," Illingsworth says. "He decided that the purpose of his Master’s thesis would be to analyze the business model for growing peonies in Alaska. His analysis concluded that there was good potential for an economically feasible cut-flower industry." Illingsworth agreed to experiment with growing peonies on his vegetable farm. He started with five varieties of peonies for a total of 25 plants. It takes approximately three to five years before peonies begin producing mature flowers. Today, he has 15,000 peony roots (tuberous) in the ground and is the president of the Alaska Peony Association. Rita Jo Shoultz is the managing partner at Alaska Perfect Peony. She also agreed to experiment with growing peonies and started out by planting 3,500 peony roots at her 27-acre farm near Homer, Alaska. Situated in the Kenai Peninsula, glaciers abound. The climate is maritime in nature, with frequent freeze-thaw cycles. Since peonies form their buds in the fall for the following year, temperature fluctuations can be challenging, inevitably resulting in some losses. Working with mostly acidic soil, Shoultz adds lime to her soil to adjust the pH. She provides support to her peonies using a network of T-shaped stakes placed at intervals on either side of each row. Two rows of strings, one on top and one on bottom, help to support the peonies’ large, heavy blooms. To deter moose from walking through her fields and wreaking havoc, Shoultz has made paths around the peony fields which, she says, the moose usually follow. Shoultz has traveled to New Zealand twice to learn about the peony cut-flower business. Today, she also has about 15,000 peony roots in the ground. Some of the peony varieties grown on Alaska peony farms include varieties found in Manitoba gardens. Early blooming varieties include Coral Sunset, a hybrid peony with ruffled, semi-double coral-rose blooms and Sarah Bernhardt, a classic heirloom from 1906 that has fragrant, deep pink blooms. Duchesse de Nemours, introduced about 150 years ago, is an award-winning peony that blooms in early mid-season and has crown-shaped, creamy blooms. Paul M. Wild blooms in mid-season. Introduced in 1964, it is a choice cut flower with ruby-red double blooms. Dr. Alexander Fleming is a late mid-season peony that has fully double, deep pink bomb-type blooms. 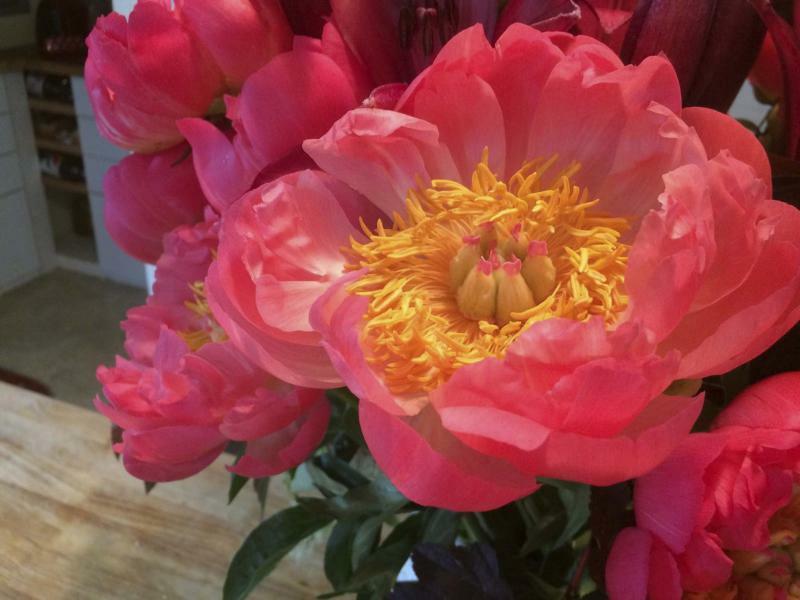 Richly vibrant in colour with enormous blooms, Shoultz says that beauty in an Alaskan-grown peony is not enough. Peony stems are generally shipped as a fairly tight bud, Shoultz says, and must have a long storage time. It’s essential, she says, to cut each individual stem at exactly the right time so that the bud does not open too soon. Today, there are 200 peony farms in Alaska. In the land of the midnight sun, the story of the peony is only beginning.